Always remember.... any interrogation with police is recorded....and you are making a sworn statement. In a high profile case, you can rest assured it will make the news. Samantha Scheibe, who refers to Zimmerman as her "boyfriend," said in a sworn statement that she felt intimidated when she was questioned by police about the Nov. 18 incident. I'm not seeing intimidation....could just be me? 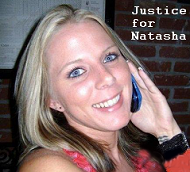 After this interrogation Samantha recanted most of her sworn statement to investigators.